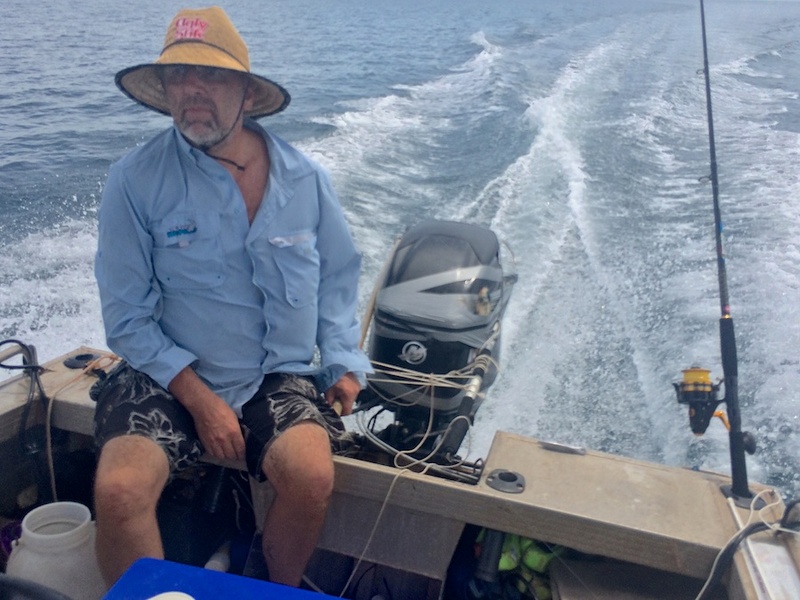 so today was a perfect, windless, wet season day, so we loaded the tinny up and headed out for a fish, the plan was to head up to last chance shoal to troll for a few macks and then on to cape wilberforce for some bottom bouncing on some bommies up there, finishing up with lunch on the beach at elizabeth bay. 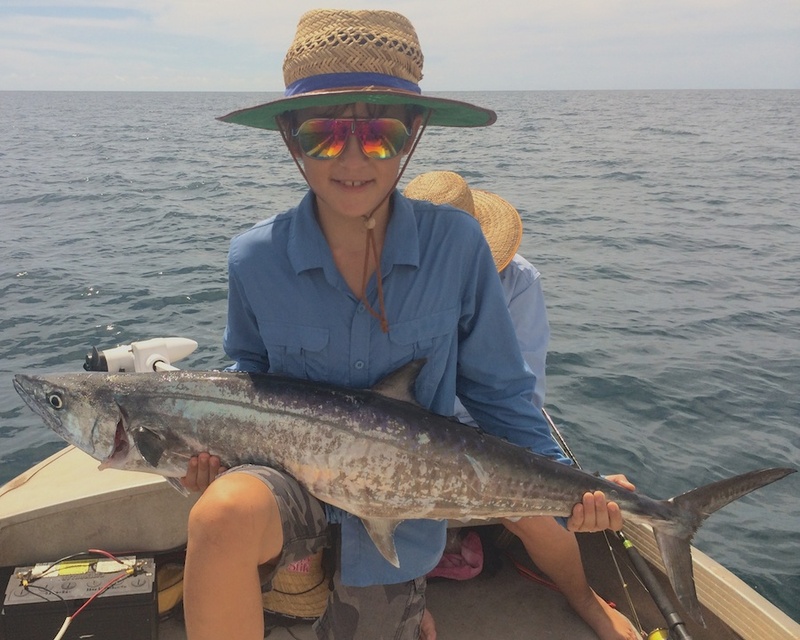 the best laid plans of mice & men etc…..we got up to last chance shoal and almost straight away hooked up a fish, i told kai to pull it in and so he started pulling the trolling line in, it came really easy as if it were a very small fish, but when it got to the boat I realised it was a big mack and it was very green – it saw the boat and me swing down to gaff it and it went mental, as it took off vertically out of the water at the back of the boat it tore the hydraulic line out of the ram for the steering on the motor! 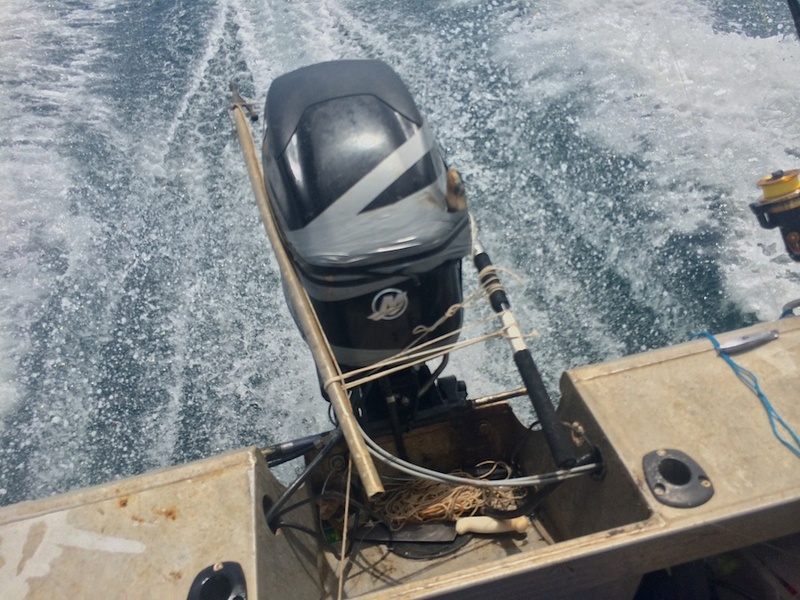 i spent the best part of an hour trying to repair it, but had no luck so I had to macgyver a hand steering setup with the gaff, an old boat hook, a roll of duct tape and some cord line! anyway it got us home so alls well that ends well! 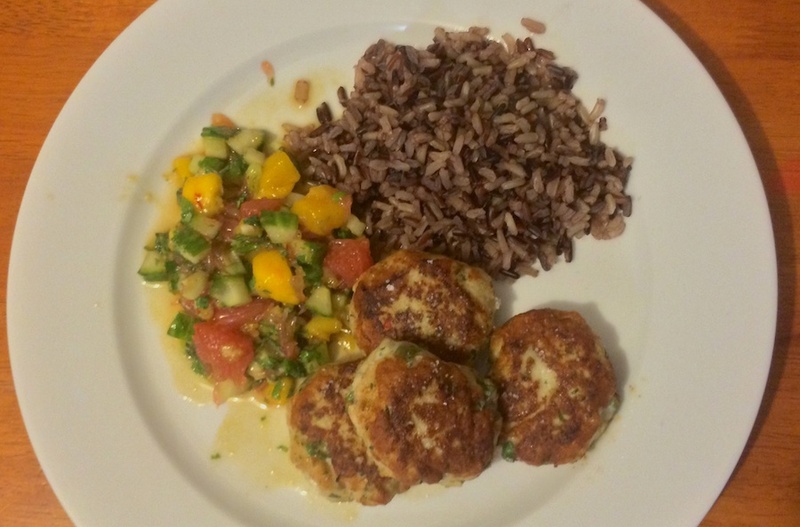 dinner was kai’s mackerel turned into thai fish cakes, mango salsa and mountain rice. i guess this is a form of comfort food for me, my old favourite, papaya and mango salsa. its so easy to make, it has a lovely freshness to it, a bit of zing, a bit of a sweet finish. in fact it encompasses one of the traditions of food, the balance between sour, hot, sweet and salty – that balance is at the heart of most if not all cuisines, different countries use different ingredients but those are the essential flavours. 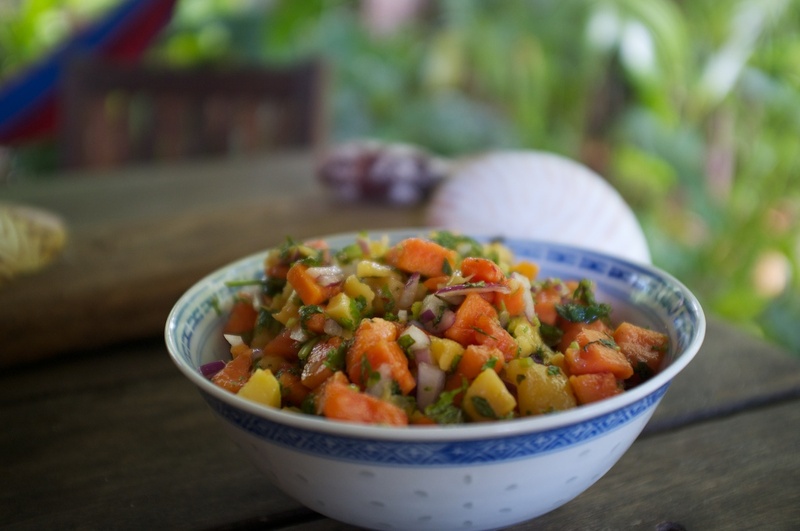 the quick and dirty recipe is diced mango & papaya, mint, coriander, kaffir lime leaves, ginger/galangal, chillies, lime zest, chopped red onion and a dressing made of palm sugar, lime juice, fish sauce, mirin and vinegar – and anything else I think to add on the day! its great with smoked fish, (thats tonites menu), steak, pork or just on its own!